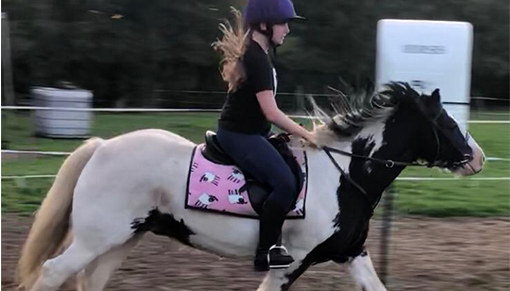 In May 2018, Pinky found a new loving home with the Bingham family in Suffolk through our Guardianship Scheme and he's enjoying getting to know his new young rider Issy, aged 12 - as well as new field friend Boyo. Pinky's new life is a far cry from the conditions he was rescued from in 2012, aged just one year old. He was one of 60 horses who had been illegally fly-grazed (grazed on land without the owner's permission) near Cardiff, many of which were suffering from severe worm burdens and liver damage. Pinky was also sufferinng from the highly-infectious disease strangles. This rescue was one of many undertaken by Redwings in partnership with local councils in South Wales throughout 2012 to try and tackle the large scale problem of fly-grazing. 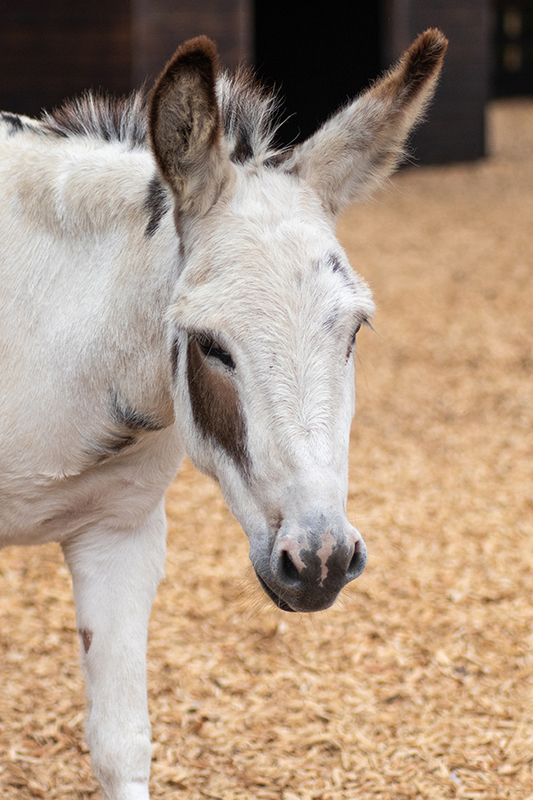 Thanks to the care and rehabilitation Pinky received at the Sanctuary, he made a full recovery and went on to live at our Ada Cole Visitor Centre in Essex, where he could enjoy plenty of fuss from our supporters. 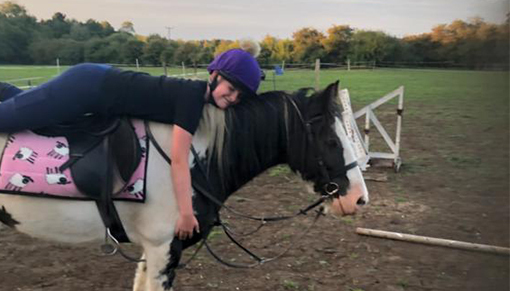 His friendly nature soon stood out and made him an ideal candidate for our rehoming scheme, so he began his training to become a ridden horse. Commenting on the new addition the family, David Bingham (Issy’s dad), said: “Pinky has become known as the safest and kindest pony we have. Thanks to his training we haven’t found anything he is scared of and he never seems to spook. "Since his arrival with us he has been out hacking and working in the school and he seems to enjoy both. He and Issy have had several jumping lessons together and Pinky is learning a lot. We think he particularly enjoyed cantering on the stubble fields in the summer!" 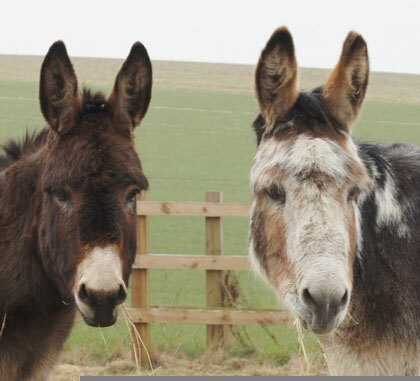 Could you offer a home to a rescued horse or pony? Click here for all the details about our Guardianship Scheme and find your perfect new friend today!